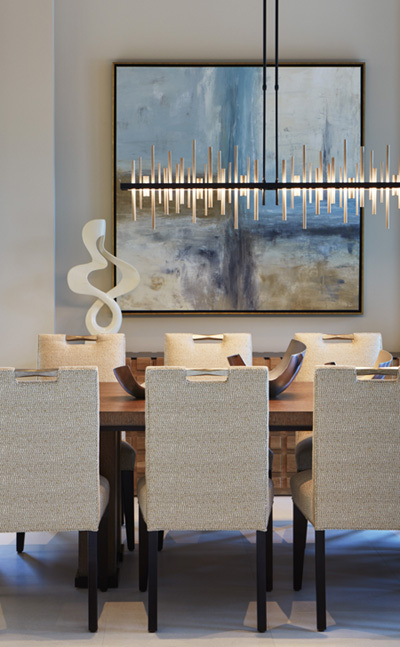 Founded in 2003 by Lisa M. Ficarra, Ficarra Design Associates is an award-winning, full-service interior design firm serving clients in Naples and Southwest Florida. Our designs continue to be acknowledged for their creativity, diversity, expert execution and the degree to which they reflect what is important to our clients. The firm initiates each new project without preconceived notions or assumptions. Instead, we allow our design styles to emerge from our clients' experiences. Form and function are measured against your personal fulfillment and enjoyment and then incorporated in a style that stands as a testament to individuality. Ficarra Design Associates' commitment to creating extraordinary designs is supported by an equally strong commitment to reliability and dependability. Project timelines and budget considerations are strictly maintained and adhered to. This sense of professionalism and integrity further distinguishes Ficarra Design Associates. Our extensive experience in the design/build/remodeling process makes Ficarra the preferred choice for clients, builders and architects who place a premium on ingenuity and a creative approach to problem solving.